We love this route for the mostly off-road paths. You can stay on the I-205 bike path most of the way unless it’s under construction, as it was when we rode this route last. 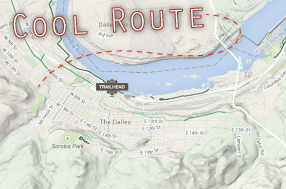 This route comes from the Best Bike Rides in Portland book by ORbike editor Ayleen Crotty and published by Falcon Guides.